With CFast 2.0 becoming the primary recording medium for a vast array of cinema cameras, and 8k ultra high definition standards following fast and furious, the need for a faster read/write speeds becomes a concern. That’s why Sony’s new upgraded G Series CFast 2.0 standard may be a god send. 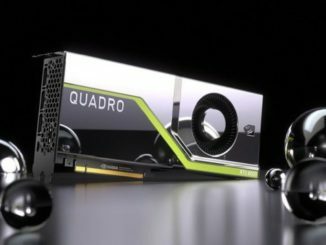 “Joining an established range that includes Professional internal SSDs, XQD and SxS cards, as well as the world’s fastest SD card, the new CFast 2.0 models strengthen Sony’s position as a leader in professional memory solutions, improving the shooting experience and optimising the workflow.” said Romain Rousseau, Senior European Product Manager. 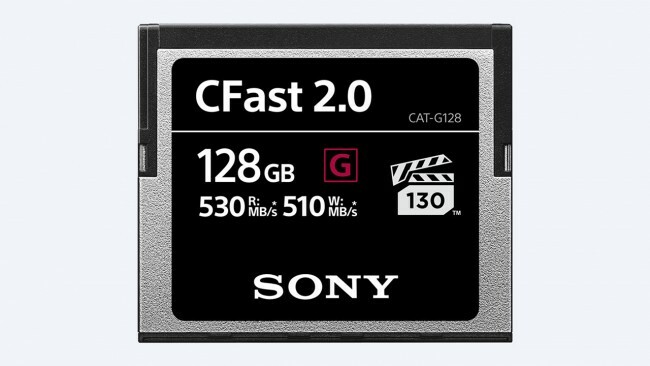 As part of their Pro memory card line, the Sony CAT-G seriesCFast 2.0 cards offer a maximum write speed of 510 MB/s and read speeds of just over 530 MB/s. But thanks to Sony’s Video Performance Guarantee spec, that equates to a continuous write speed of 1040 MB/s, sustained write speeds of 130 MB/s. Translation – this card is really fast. REALLY FAST. 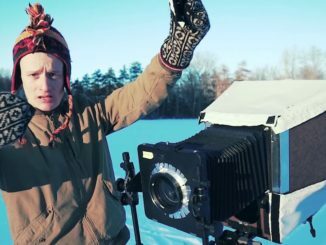 Which is something you need if you’re filming at 6K and beyond. And we all know that 8K is only a medium waypoint according to Moore’s law, sooner or later we’ll probably hit a ceiling in regards to resolution and speed, just like the PC world has with processor performance. But even then, they found a way around it with multiple cores. And if this card is any indication, we’re not even close to hitting any speed bumps. Yet. And even if they do, we’re likely to see gradual improvements in sustainable and continuous write speeds thanks to codec refinements and compression ratio improvements. Even with uncompressed Raw, there’s still room to refine the codecs to improve image quality. The G Series CFast 2.0 cards have been stringently tested for drop, vibration, static, shock, and rigidity, making them perfect for on location shooting. Especially in the harsh environments of nature documentaries and news, thanks to resistance of a wide range of temperatures. Sony is also adding a hard case and Sony File Rescue software for accidental image file recovery. But shooting with Cameras aren’t the only applications here. 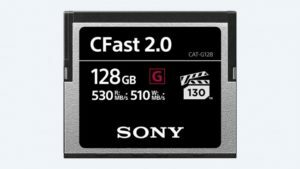 In addition to being ideal for writing in cinema cameras, CFast 2.0 cards are also fast and robust enough to work as storage and backup mediums as well, faster and far more robust than spinning hard drives. To that end, they are becoming more popular for data backup while in the field through external drive options. Available starting at 32GB (CAT-G32), 64GB (CAT-G64), and 128GB (CAT-G128) capacities, the CFast 2.0 cards are only about the same sizes as SSD drives were approaching at their very beginning. But it’ll definitely be exciting to watch as they progress. No word on pricing or availability, but I’m sure we’ll learn more after the First of the year when CES comes around.